Is your resume in need of a ‘refurbishment’? Would you like to get short-listed for more jobs? Our professional CV & Resume Writing Services are designed for people who want to make employers sit up and take notice. Our resume writers have been selectively hand-picked from around the country. They are professional resume writers with extensive experience in preparing resumes, cover letters, bios and selection criteria responses for the public and private sectors. Our resume writers have a strong knowledge of the job market and will work with you to ensure the best possible outcome is achieved. We have prepared thousands of job applications for clients in Sydney, Melbourne, Brisbane, Perth, Adelaide, Canberra and regional locations across Australia. We also provide ‘country-specific’ CV and resume writing services for clients who live outside Australia. Many employers won’t even consider a candidate who doesn’t include a cover letter in their job application. In our experience, applicants who include a tailored cover letter, written in the same writing style as their resume, are more likely to be short-listed for jobs. Stand out from the crowd by hiring one of our consultants to write a customised cover letter for you that highlights your relevant skills and experience, and details the reasons why you are suitable for the position. We can tailor your cover letter for a specific job, or write a general cover letter for you that you can adjust to suit different positions. The majority of government employers require applicants to address selection criteria in their job application. Hire one of our professional writers to help you get short-listed for more jobs! Our writers have extensive experience preparing government job applications and know what it takes to produce a successful application. Your writer will ask you to provide them with specific examples that demonstrate how you meet each selection criteria. You will be asked to complete a STAR table which involves writing some brief points against the Situation / Tasks / Actions / Result undertaken for each of these examples. Your writer will then wordsmith this information into a logical response that clearly addresses the selection criteria requirements using relevant keywords and phrases. It is important to note that you will not be able to dictate your STAR examples over the phone, nor will your writer be able to create a generic response without your input as the examples used may be included in discussion at the job interview. LinkedIn is the world’s largest professional network with over 460 million members worldwide and more than 8 million members in Australia. 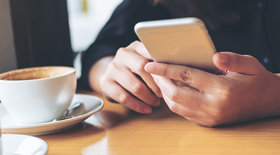 We can help you take full advantage of all the incredible features LinkedIn has to offer, giving you a competitive edge over other candidates. Your LinkedIn profile writer will start by interviewing you about your career goals, work history and achievements. They will then research your competitors and develop a professional LinkedIn profile for you, tailored for your industry. Tips and advice on how to use LinkedIn to access the hidden job market. 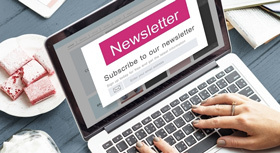 *You will also receive a copy of our popular LinkedIn Tips and Tricks Guide which is packed full of expert tips on how to get the most out of your LinkedIn profile. Suitable for high school students, recent school leavers and tafe/university graduates with up to 12 months work experience in total. Suitable for people with over 12 months work experience who are applying for non-management roles up to the mid-level tier. Suitable for people who are applying for senior positions, management roles, executive positions, project management and IT management roles. PLEASE NOTE: These fees are a guide only and may vary depending on the nature, complexity and length of your resume and/or the job application requirements. All jobs are quoted individually. In order to provide you with a quote, we will ask you to send us your existing resume (if you have one). If you don’t have an existing resume, we’ll ask you to complete a resume questionnaire. Once we have reviewed your information, we will email you a quote with payment instructions. Payment can be made via our online credit card facility or bank deposit. Once we receive your payment in full, one of our resume writers will contact you and get additional information about your skills, experience, job preferences etc. Your resume writer will then prepare a draft and email it to you in Microsoft Word format. Once you have reviewed your first draft and requested any changes, your resume writer will prepare a second draft for you. Once you have reviewed your second draft and requested any further changes, your resume writer will prepare a third and final version for you. All fees quoted include up to 2 revisions of your first draft (based on your original request only). Revisions must be requested within 2 weeks from the date of your first draft. Any further revisions will incur an additional fee. If we don’t hear from you in that time frame we will consider the project completed to your satisfaction. Due to the many factors that contribute to whether a candidate will be short-listed for a role, we do not provide any guarantees that you will secure a position as a result of engaging our writing services. How quickly will I get my resume? We have a 5-7 working day turnaround for our resume writing services unless otherwise specified at the time of quoting. If you need your documents sooner than this, please let us know and we will check our availability. An express fee of 30% of the total quote will apply. With a background in marketing communications and corporate writing, Belinda appreciates the need to approach each resume and job application with fresh eyes. She is an expert at drawing out your skills and experience and tailoring them to produce a personalised Resume ideally suited to the position(s) you wish to apply for. She also has a good understanding of the process involved in preparing Selection Criteria for government positions. With experience gained over 15+ years, Belinda has achieved significant success in a variety of roles and projects covering direct marketing (both print and online); conference management; research and writing numerous brochures, flyers and newsletters; general communications strategies and website production and management. Her experience has enabled her to develop a comprehensive range of skills and knowledge as well as the ability to effectively convey a technical message through effective copywriting. Belinda's approach to resume production and specific job applications is to work directly with the client to establish individual requirements with special focus on drawing out your achievements to demonstrate success and potential value to a prospective employer. With a passion for writing and nearly 10 years experience in the corporate field as a Communication Specialist, Catherine has provided communication consultancy to people from all levels of management. Catherine is dedicated to working with you to help you express how your key skills and achievements align with a company’s strategic requirements and set you apart from the rest of your field. She will then individually tailor your cover letter, resume and selection criteria in plain English to ensure you submit the best application possible to help you secure your dream job. Available via Phone/Email and in person at the Sydney CBD, Rouse Hill and Penrith, Sydney. 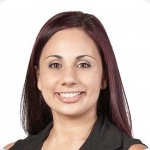 Kylie Micallef is a Professional Resume Writer with a background in Recruitment and Career Advising, as well as having worked in the financial services industry. She has a solid understanding of a broad range of roles including those in the financial services, engineering, information technology, medical and legal industries. Kylie holds a Bachelor of Business (Marketing) from the University of Western Sydney and Certificate IV in Financial Services. 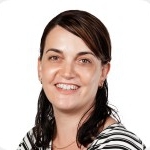 Kylie has worked closely with a wide variety of people, assisting them with their employment and career needs. She is passionate about helping people reach their career goals and ensures that their key skills and strengths are highlighted in their resumes so that they are noticed by potential employers. Kylie’s strong writing skills coupled with her creative flare ensure that your resume looks sharp, professional and has a ‘competitive edge’. Derived from her experience in career advising, is her ability to carefully identify a person’s key abilities and selling points to convey to a potential employer. She is a strong believer that a resume should not only act as an introduction of one’s self to an employer, but a ‘teaser’ so that they want to find out more and hence agree to meet with them in person. In Kylie’s view, the way your resume is written and presented is the first and most important step towards securing your dream job. 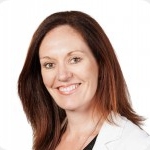 Kylie brings extensive experience compiling Selection Criteria, Resumes and Letters of Application for all levels of government, education and the private sector. Kylie demonstrates a strong comprehension of government recruitment processes, policies and procedures; this combined with strong writing skills allows Kylie to create Selection Criteria Responses that maximise the opportunity for a successful outcome. Kylie's earlier career within the recruitment industry has allowed her to bring a recruiter's perspective when writing applications. Working extensively with candidates for over 10 years has allowed her to develop strong interviewing skills which she applies to assist clients in identifying their key strengths - a critical element to any application. With experience in compiling employment documents for clients across diverse industry spectrums, Kylie believes that applying a collaborative, holistic approach to creating unique documents achieves the best results. After 15 years in the corporate sector, predominantly as a paralegal in commercial litigation, Sarah found her calling in 2010 and hasn't looked back! 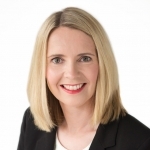 As a highly experienced interview skills training consultant and resume writer, Sarah has multiple accreditations with Career Directors International, giving her an edge when it comes to personal branding and interview coaching. Located in Varsity Lakes on the Gold Coast, Sarah helps her clients to: identify gaps in interview skills that need to be addressed; learn to answer behavioural based and difficult questions with ease; overcome nerves; build confidence; increase their success rate; and position themselves as a cut above the rest. Further, as a seasoned resume consultant, Sarah prepares stand-out career documents for clients at all levels in a wide diversity of industries, for both the public and private sectors. Sarah is ambitious in honing her craft and continuously maintaining contemporary knowledge of job seeking trends. She has outstanding attention to detail, is dedicated to providing excellent client service, and truly wants to see each of her clients succeed. Sarah has a genuine passion for helping people to achieve their ultimate goal – to get that job! With 15 years in human resource management, Victoria has had the privilege of supporting career progression and professional development for individuals at all levels across a range of industries. 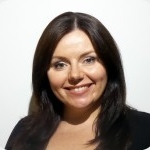 She has a Masters in HR Management, which she has applied within leading organisations across the UK and Australia. With a strong belief that engaged employees are the key to an organisation’s success, Victoria has designed and implemented industry leading and award winning programs for Recruitment and Retention, Graduate Development, Leadership Coaching and Talent Management. Victoria has developed hundreds of resumes, cover letters and selection criteria for candidates at all levels and stages of their career - from new graduates to senior executives. Her writing style and eye for detail have helped clients from a diverse range of industries, in both public and private sectors, put their best foot forward towards their next career goal. Extensive experience in local and international recruitment gives Victoria an excellent insight into what makes candidates stand out from the crowd. Victoria works with her clients to understand their aspirations and to identify organisations that can enable the realisation of those goals. She will showcase your strengths, highlight your achievements and allow employers to recognise the value you will add to their team. 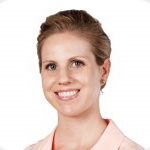 With over 10 years’ experience in recruitment and executive search, career advice and resume writing, Anna has worked with individuals at all levels of seniority across a broad range of industries in Australia and overseas. She is truly passionate about career counselling and highly committed to assisting clients at various stages of their careers. Anna is strongly consultative in her approach and sees transparency, openness and clear communication as keys to success. Her friendly and professional manner makes her easy and enjoyable to work with. In client consultations, Anna seeks to establish an environment where clients feel comfortable and have the confidence to engage in productive conversations about their careers, potential hurdles and future aspirations. She places great emphasis on client empowerment and positive communication, and actively supports clients in identifying and recognising their personal interests, strengths, values, skills and competencies. With her background in recruitment and executive search, Anna is well placed to provide advice also on job search strategies, interview preparation and techniques, LinkedIn profiles and resumes. Anna is a member of the Career Development Association of Australia (CDAA) and holds a Graduate Diploma in Careers Education and Development and a Bachelor of Business (Marketing). Olivia O'Neill is a HR and Recruitment specialist with broad experience that spans two decades. Olivia has consulted and counselled individuals with regard to career direction and development in every role she has held. 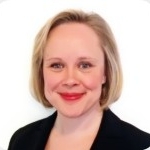 Her experience has been gained predominately within the IT and Financial Services sectors. Preparation and review of resumes has been a core focus of Olivia's throughout her career and after 20 years, she understands intimately, the importance of getting it right. She has an honest and refreshing approach to the resume writing process. Her professionalism, experience and knowledge of the recruitment process in its entirety have helped establish her as a specialist in the field. Olivia's approach is to proactively draw out the best an individual has to offer and to articulate this in a way that presents the candidate in the best possible light. Olivia holds a BA (Psych) and is currently completing an MBA. 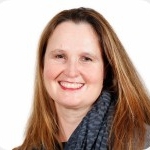 Jane Speechley is a writer, qualified trainer and professional communications practitioner with more than 15 years’ experience spanning the public, private and not-for-profit sectors. Through a diverse and thoroughly rewarding career, working with some of Australia’s best known brands, she’s written news and feature articles, reports, web content, speeches, scripts, blog posts, brochures, newsletters and even several books! After being fortunate enough to attain her ‘dream job’ early in her career, Jane has been running her own successful consultancy since 2007. After years of helping friends with their job applications, she finally decided to turn professional, and now feels privileged to be able to use her knowledge of effective communication and persuasive writing to help others fulfil their career ambitions. Jane has prepared resumes, cover letters and LinkedIn profiles for clients across a broad range of industries – from business, law and information technology to customer service, finance and project management. A wordsmith to her core, she really enjoys working with her clients to find the best possible way to articulate their skills, knowledge and experience. She works hard to bring together the most relevant, important and concise information, and present it with creativity and flair. When not writing captivating career summaries or spot-on selection criteria, Jane also enjoys using her skills and knowledge to support charitable organisations and social enterprises. Chrissy is extremely passionate about assisting job seekers achieve successful employment by providing them with the necessary tools, support and guidance. With over 10 years’ experience in the Career Consulting and Employment / Recruitment industries, Chrissy has an in-depth knowledge of what Employers and Recruiters look for when screening and selecting job applicants. Having prepared application documents for all professional levels ranging from Graduates to Senior Managers, and almost all industries, Chrissy has a wealth of knowledge and expertise that she draws on to ensure outstanding results and outcomes for her clients. She has a unique ability of understanding individual needs and motivations and then creating tailored strategies to assist her clients in fulfilling their short and long term career goals. Chrissy has completed an Honours Degree of a Bachelor of Science, with a specialisation in Organisational Psychology, and is a registered member with the Association of Online Resume and Career Professionals (AORCP). Being a self-confessed perfectionist, she takes great pride in the quality of her work and loves to encourage and empower people to live their best life, both personally and professionally. Julie has over 15 years’ professional experience within Human Resources, Learning & Development and Career Coaching, and is passionate about helping individuals achieve their career goals and maximise their potential. Originally from Scotland, Julie’s corporate background spans both the private and public sectors where she has worked within the Health, Finance, Investments and Education industries as well as for Local Council and Government. Julie’s passion for career development began as part of a personal journey. After being made redundant in 2004, she received outplacement support which she found enormously beneficial. 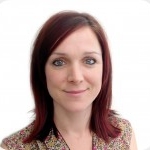 From there Julie began to transition her own career into providing career services for others, utilising her skills and experience within Human Resources and People Management and supplementing these with Learning & Development and Coaching experience. Qualified with a Certificate in Personnel Practice and a Certificate in Training Practice from the Chartered Institute of Personnel & Development (CIPD) in the UK, Julie has also completed a Certificate in Coaching and an Advanced Diploma in Business. 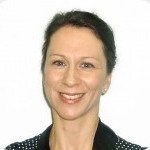 In 2012, Julie and her family emigrated to Australia where she continued her Career Coaching experience. Her approach is a highly practical one, focused on goal setting and solutions. Through Julie’s corporate background and extensive experience, she specialises in career transitions, resume writing, LinkedIn and interview skills training. As a resume writer with a 15+ year career in professional writing and editing, Jeanette has in-depth exposure across a range of industries within both the private and public sector. She’s passionate about optimising the written word to benefit the end product, including using it to help others reach their professional goals via high-level career documentation. Whether it’s selection criteria that needs to meet stringent application guidelines or a resume that’s being dusted off after a long-term ‘hiatus’, Jeanette prides herself on producing high-quality written output. She enjoys collaborating with each job seeker and/or brand marketer to ensure their key strengths and achievements are drawn out and emphasised. She works closely with each of her clients to ensure their professional needs and ambitions are accurately identified and enmeshed with their skills and abilities. Based in Melbourne, Jeanette holds a Bachelor Degree majoring in Professional Writing from Deakin University, as well as a Diploma of Arts in Professional Writing and Editing from Box Hill Institute. She is committed to continuing to develop her resume writing capabilities in line with the latest industry standards to benefit each of her customers. A professional writer with a background in public sector policy and corporate governance, Kate approaches resume creation with a strategic lens to ensure your aspirations and potential are captured alongside your skills. 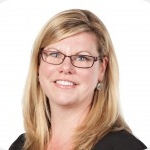 Kate has extensive experience in public service position creation, recruitment, and selection processes and is passionate about creating a resume that aligns your skills with employment goals and opportunities. In her public sector career, Kate specialised in translating technical information into accessible, persuasive briefings and applies the same formula to communicate your unique strengths in a targeted, plain-English resume, cover letter, and claims against the selection criteria. Based in Melbourne, Kate has a Diploma of Professional Writing and Editing, a Bachelor of Arts (Art History and Cultural Heritage), and is completing her Master of Arts (Creative Writing). 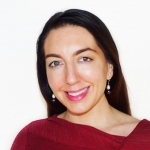 Amanda Anastasi is an experienced resume writer and communications specialist who has written hundreds of resumes, cover letters, and LinkedIn content for job seekers throughout Australia, Asia, Europe, and the US, encompassing a range of industries for entry, mid-level, and executive-level clients. She holds a Bachelor of Arts in Professional Writing and Editing/Literature from Deakin University and is a widely published writer. Amanda has received many awards for her writing work, the most recent being a Wheeler Centre Hot Desk Fellowship from the State Library of Victoria. She brings a background in the arts, education and training, web copywriting, and events management. 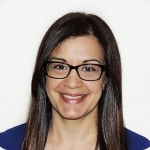 Skilled in creating concise, well-targeted resumes, Amanda collaborates with clients to effectively draw out transferrable skills and applicable achievements, to create a strategically-focused, compelling resume. Amanda brings her creative flair, attention to detail, and active listening skills to meet client needs. She is passionate about helping and providing support to job seekers in achieving their career goals. Thank you for your time, help and effort in restructuring my resume to its new professional standard. I'm very happy with the end product, the excellent customer service and efficiency. I will certainly refer you to others looking for a professional CV. Thank you so much for your help in writing up my resume and selection criteria. Without it, I may not have even got past the first stage. More than a month later after applications have closed... I have the job! Thank you again! I want to thank you for your resume service and consultation provided by Kylie Micallef. Having a second pair of eyes review my resume made all the difference. Kylie was very accessible and I appreciated her advice, timely responses and professionalism. "I contacted Katie Roberts at the eleventh hour to support my application for a new job. Despite the short lead time, Sarah Cronin, the Resume Writer assigned to me, produced a thoughtful and professional resume, selection criteria and cover letter. Sarah was a pleasure to work with, insightful and efficient." I am very happy with my resume. The end result is a resume I am proud to present to prospective employers. I am happy to recommend your resume writing services to others. Thank you very much!